Pakistan is a war zone, but its battle is far more cultural than military. The whole country realizes this fact and is holding its breath, hoping that President Obama will come to the same realization. As long as the United States pursues the futile military policy of the Bush years, the situation in Pakistan will grow increasingly dire. Catastrophe looms. Although Pakistan is an overwhelmingly Muslim nation, culture, not religion, is the glue that binds the souls of its people. But now the Taliban are grafting an alien form of Islam onto Pakistan. Earlier this month a weak Pakistani government, realizing that its frontier regions are completely out of control, was forced to make a deal. After countless pitched battles with the militants, they ceded a key area, the Swat Valley, to fundamentalist control. * The Taliban are extremists but they are not terrorists. Merging them with al-Qaeda was a serious mistake on the part of the U.S.
* The bombs dropped from fly-over drones do little to stop the real terrorists but have destroyed civilian morale. As a result, the militants gain sympathy among the population. What was once a hated insurgency is steadily becoming a people's revolution. * The frontier territories have reverted to tribalism and chaos. There are no police or law courts. The Pakistani army has lost to the militants. * The democratic honeymoon after General Musharraf gave up his power is over. The current government is seen as a bigger stooge of the U.S. than its military predecessors. Khan, and every other informed Pakistani, despairs over the blindness of the U.S. as it stubbornly does everything it can to increase the radicalization of the country. War has two children: sorrow and chaos. Both are running wild in Pakistan today. So what to do? The first thing is to realize that there is no military solution. The Soviet Union sent a massive force into Afghanistan, killed hundreds of thousands of people, and achieved nothing. The whole regional conflict will turn into Obama's Vietnam unless he changes course drastically and soon. The next step is to realize your final goal. In this case, the final goal is to isolate al-Qaeda from the Taliban. Fundamentalists can be talked to. Dialogue can reduce tensions. Power sharing and compromise become possibilities. But as long as you equate the Taliban with the terrorists, there is no hope for peace and much risk that you will drive the two camps into each other's arms. Imran Khan made a critical point when he said that the U.S. must begin to understand the people, in particular the Pashtuns who occupy the region shared by Afghanistan and Pakistan. Over 40 million strong, these tribes furnish an unlimited supply of young males to fight for the militants. To understanding these people, a basic fact must be known about Pakistan. For six turbulent decades as an independent state, Pakistan has been held together by its music, poetry, films, literature and sports. There is no hope of winning a military war, but the U.S. could win the culture war. The Taliban's strict puritanism is widely hated as they forbid dancing, singing and the watching of television. They also suppress women, who make major contributions to culture — they are its heart and soul. The fanatics' idea is simple: to strangle Pakistan's rich and vibrant culture and replace it with a totalitarian brand of Islam. In short, the Taliban is a cultural enemy far more than a military one. Contrary to the Bush era, when Islam stood for a "clash of civilizations," Obama needs to support, respect, and appreciate the value of Islamic culture. Keeping that culture alive will win the allegiance of moderate Muslims, but even beyond that, it will uphold the dignity, beauty, and worth of Muslim life everywhere. For the last twenty years, Pakistani music and pop culture has built a global following. The late Sufi singer Nusrat Fateh Ali Khan collaborated with Peter Gabriel and Eddie Vedder of Pearl Jam on Hollywood soundtracks. 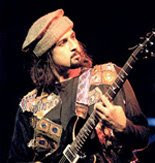 Pakistani rock bands and singers like Junoon, Strings, Jal and Atif Aslam have been huge draws in India, America and Europe. Last year Pakistani director Shoaib Mansoor's movie "In the Name of God" became the first Pakistani film to be released in India. The film portrays the difficulties of being a liberal Muslim in Pakistan after 9/11 — something that will become harder if voices like Mansoor's are silenced by radicalism. The U.S. has an important role to play. America must help strengthen Pakistani civil society — the artists, writers, humanitarians, rights activists and educators who have braved military dictators, corrupt politicians and religious fanatics. They are America's natural allies against extremism. By promoting creative collaborations in film, television, fashion and music, the U.S. will empower the voices that the Taliban seek to silence. But with the Taliban creeping farther into Pakistan every day, that precious window of opportunity is closing fast. 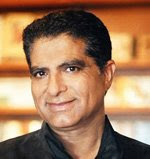 Deepak Chopra is the author of over 50 books on health, success, relationships and spirituality, including his most recent novel, "Jesus: A Story of Enlightenment," available now at www.deepakchopra.com. Although Pakistan is an overwhelmingly Muslim nation, culture, not religion, is the glue that binds the souls of its people. Ha ha. Salman got Deepak to lend his name to this drivel too. One sells ballads (and seriously out-of-touch-with-reality advice it seems), the other sells snake-oil. Of course I believe. Where can I find more of this peerless wisdom? To the anonymous who said Salman got Deepak to lend his name too-are you saying you are ok with Taliban??? ?If so then we in Pakistan need to be aware of culprits like you who support taliban in their minds!You can laugh loud ha ha when this terrorism hits your family!! !Because thats the gravity of situation. when you say Imran is greatest cricketer,thats acceptable but you take that legacy and appy to his dumbness in politics,that surpirises me. I will give you an example-many times Imran khan has displayed his stupidity.As many as ten times-he said that terorists in pakistan will not target cricketers as public love cricket and terrorists will not like to get bad name with public!!! !We knew he was talking nonsense but had to wait till this morning how wrong he was-as what happened with Srilankan cricketers!!! We cannot afford to have such irrational thinking person ready to take charge of politics in pakistan! If Imran khan thinks taliban will not harm and they are not terrorists-let him spend few nights with them and see how much they will tolerate his western way of life style!!! This fellow looks like biggest Joker among Zardari,Nawaz and himself!!!! The news of the attack by the Taliban on Pashto sufi poet Rehman Baba's shrine in Peshawar brings in to sharp focus the culture war that Salman and Deepak talk about. Read here for more details. LAHORE, Pakistan — For those who think Pakistan is all hard-liners, all the time, three activities at an annual festival here may come as a surprise. It is not an image one ordinarily associates with Pakistan, a country whose tormented western border region dominates the news. But it is an important part of how Islam is practiced here, a tradition that goes back a thousand years to Islam’s roots in South Asia. It is Sufism, a mystical form of Islam brought into South Asia by wandering thinkers who spread the religion east from the Arabian Peninsula. They carried a message of equality that was deeply appealing to indigenous societies riven by caste and poverty. To this day, Sufi shrines stand out in Islam for allowing women free access. In modern times, Pakistan’s Sufis have been challenged by a stricter form of Islam that dominates in Saudi Arabia. That orthodox, often political Islam was encouraged in Pakistan in the 1980s by the American-supported dictator, Muhammad Zia ul-Haq. Since then, the fundamentalists’ aggressive stance has tended to eclipse that of their moderate kin, whose shrines and processions have become targets in the war here. But if last week’s stomping, twirling, singing, drumming kaleidoscope of a crowd is any indication, Sufism still has a powerful appeal. Worshipers had come from all over Pakistan to commemorate the death of the saint, Ali bin Usman al-Hajveri, an 11th-century mystic. Known here today as Data Ganj Baksh, or Giver of Treasures, the Persian-speaking mystic journeyed to Lahore with Central Asian invaders, according to Raza Ahmed Rumi, a Pakistani writer and expert on Sufism. He settled outside the city, a stopover on the trade route to Delhi, started a meditation center and wrote a manual on Sufi practices, Mr. Rumi said.